How to Stream iTunes HD Movies/ TV Shows to Sony Bravia TV? Sony is heavy on 4K, Android TV and being ultra-thin in 2015. 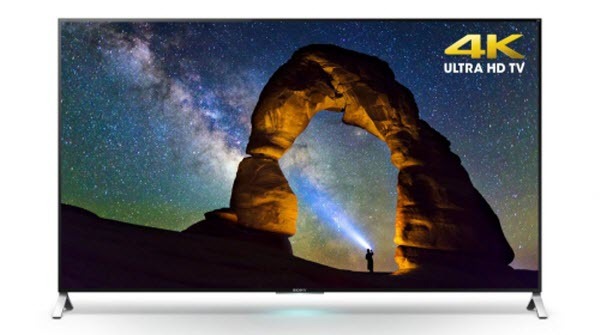 At CES 2015 in Las Vegas, Sony introduced its latest ultra-thin 4K LED TV, the Sony X900C, powered by Google's Android to compete with Samsung and LG. Sony Bravia TV now is one of the most popular TV in the world. BRAVIA is the backronym of "Best Resolution Audio Visual Integrated Architecture", which shows the pursuits of Sony on TV market. Sony's all-new flagship X900C series 4K TV has a lot going for it. It's sleek, slim and powerful, and thanks to the addition of Android TV it's smarter and more versatile than a Sony TV set has ever been before. Meanwhile, the display is downright gorgeous. All of these attract people to buy it. Just imagine that you can enjoy high resolution movies at home as in the movie theater, how wonderful it is. There are many people asked on internet on how to play iTunes DRM-ed HD movies / TV Shows on Sony Bravia TV. Is there any way to play iTunes videos on Sony Bravia TV? Yes, of course. 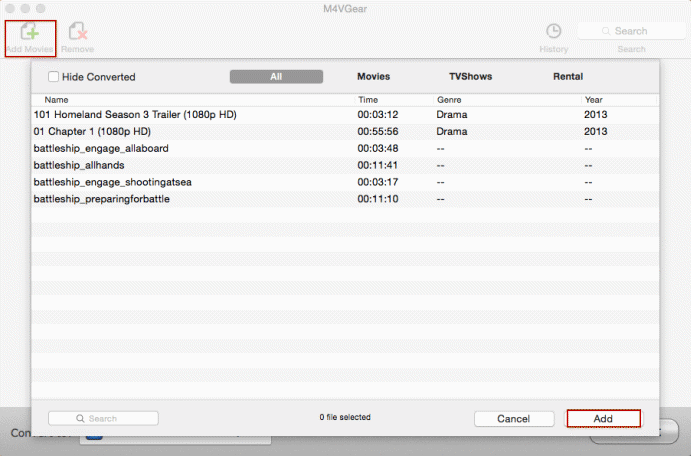 With the help of the M4VGear DRM Media Converter, you can remove iTunes DRM and then stream the converted DRM-free video files to Sony Bravia TV for playback. Tutorial: How to Play iTunes DRM-ed Videos on Sony Bravia TV? Click "Add Movies" button on the upper left, and there will be a pop-up windows enables you to choose movies you want to convert. 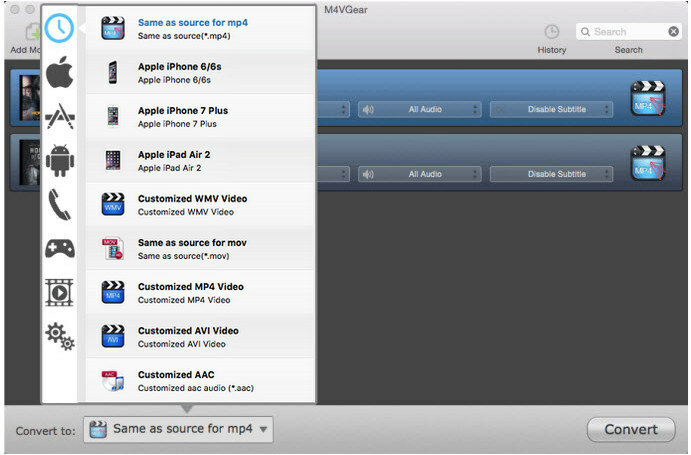 The M4VGear support batch conversion, you can add several videos to the program at one time. Click the setting button on the lower left to choose output profile. Output format as "Same as source for mp4" or "Same as source for mov" are highly recommended, which enable users convert at 20 times faster speed with all subtitles and Dolby 5.1 audio track preserved. 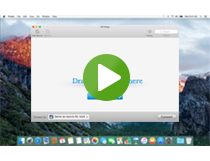 Click the "Convert" button to convert the iTunes DRM-ed videos. Before converting, you can manually set output path by clicking M4VGear > Preferences. After conversion, click "History" button on the upper right of the interface to find the well converted videos. Transfer the well converted movies to a USB device, and then connect the USB to the Sony Bravia TV via a USB port. 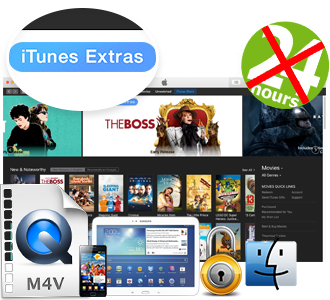 In this way, you can simply play both iTunes rental and purchased videos on your Sony Bravia TV. Keep 100% lossless quality and support batch conversion. Tips: M4VGear will offer you a free trial version to test the program. If you want to unlock the time limitation, please purchase M4VGear with $44.95 ($49.95). How to Stream iTunes Videos to Panasonic TV?